Purpose: The purpose of this paper is to explore the improvements in speed and precision achievable using straightforward closed-loop control for the gantry motion in additive manufacturing machines. The authors designed and built an economically viable demonstration system to quantify the performance improvement. 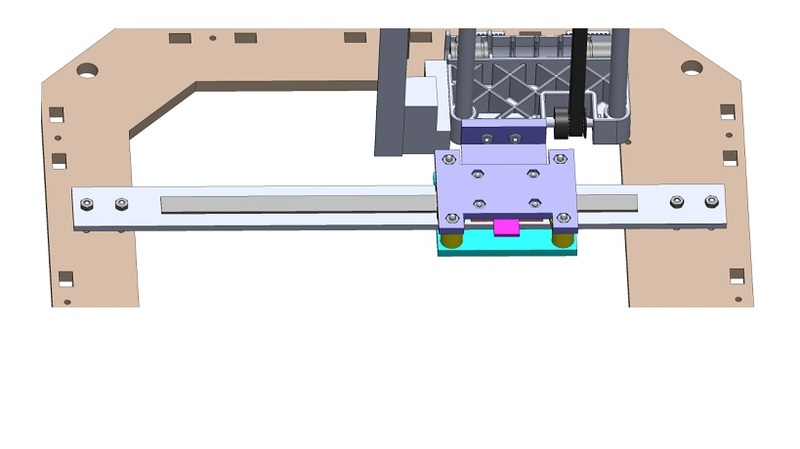 Design/methodology/approach: The authors develop and evaluate a low-cost closed-loop controller for the X and Y axes of an entry-level three-dimensional (3D) printer. The system developed captures and compensates for the dynamics of the motor and the belt-driven stage and detects mechanical errors, such as skipped motor steps. Findings: The system produces path-following precision improvements of 40 and 75 percent for two different sample trajectories. Correcting for skipped steps increases reliability and allows for more aggressive tuning of motion parameters; time savings of up to 25 percent are seen by doubling acceleration rate. Research limitations/implications: The system presented provides an appropriate platform for further investigation into more complex, application-specific controllers and inclusion of more details of the printer dynamics that could produce still greater improvements in speed and accuracy. Practical implications: The performance, low cost (40 USD/axis) and applicability to the majority of sub-2000USD 3D printer designs make this work of practical significance. Originality/value: The CNC machining industry has for many years used similar approaches, but application to 3D printers has not been explored in the literature. This paper demonstrates the value of even a simple controller applicable to almost any 3D printer, while maintaining cost-effectiveness of the solution in a competitive market. Acknowledgments: This material is based on work supported by the National Science Foundation Graduate Research Fellowship Program under Grant No. DGE-1256082, which supported the lead author throughout the research process. The authors also gratefully acknowledge the insight of Matthew D. Sorensen, as well as the helpful comments of the reviewers. The release of this material is exciting especially because the performance implications are substantial! Great work Ben! How about posting a PDF here? Dave, sorry but I can’t post the PDF of the article as it is owned by the journal (and we signed over our copyright during the publication process). Bummer, but thanks for letting me know. Hopefully future articles will find their way to journals that don’t restrict access so heavily. Yay! Thank you for delving into this Ben! With good firmware and hardware, shifting over to closed loop could be a huge leap forward in quality and speed of affordable 3d printers.